Kane Carding uses heat-set acid dyes to attain a wonderful range of colours for both its felting and spinning wools. We have a basic stock of approximately 30 colours as well as white, natural grey and natural tan. Please note that the colours indicated below are a guide only and may vary from dye batch to dye batch. 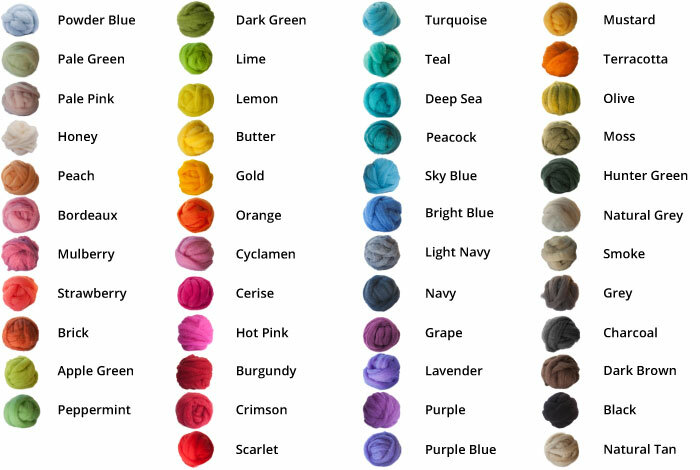 Download the colour chart above as a high quality PDF.